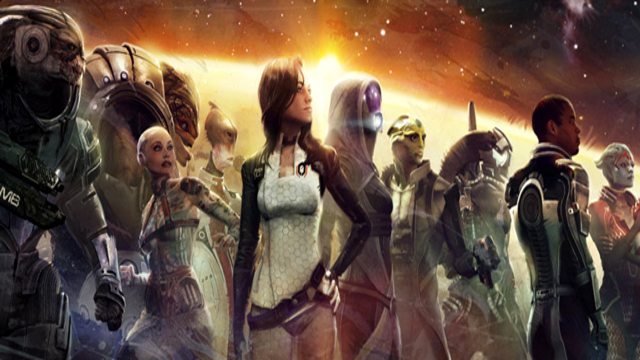 The Mass Effect Trilogy stands as an unparallelled achievement in video game history. A closely joined story arch that spanned three games and included a multitude of different scenarios, characters and outcomes based on player action. On the whole there is little emotion I can express for this work other than admiration. However, Mass Effect was not perfect. Mistakes were clearly made. Many people out there will tell you that the largest failure came in the ending, with Mass Effect 3. I do not share this belief. Yes, Mass Effect 3 is likely the worst game in the series (which is not to label it “bad” by any stretch) however I will argue that the greatest failings, at least in terms of character and story development, came in Mass Effect 2. I know: the game that is the best in the series is also the worst. Clearly there are more to be counted. Compared to the six in the first game, twelve potential crew members filled out this roster. There were also certain decisions in the game that could be made to give the player alternatives to certain squad mates (Samara OR Morinth). Expanding the central cast is always a dangerous move when designing a story. Any writer will tell you that there should never be more characters than necessary. The characters in Mass Effect 2 are well-written, realistic and flushed out creations, they are in large part what made the second installment the best. 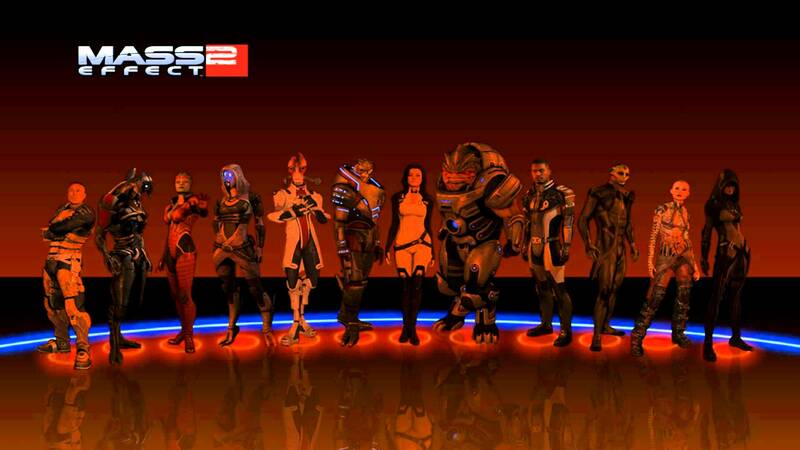 However, when their place in the trilogy is determined, nearly every character introduced in Mass Effect 2 has little to no impact on the overall story. This is a failing in writing and has largely to do with Mass Effect 2‘s construction, so I’ll come back to it. 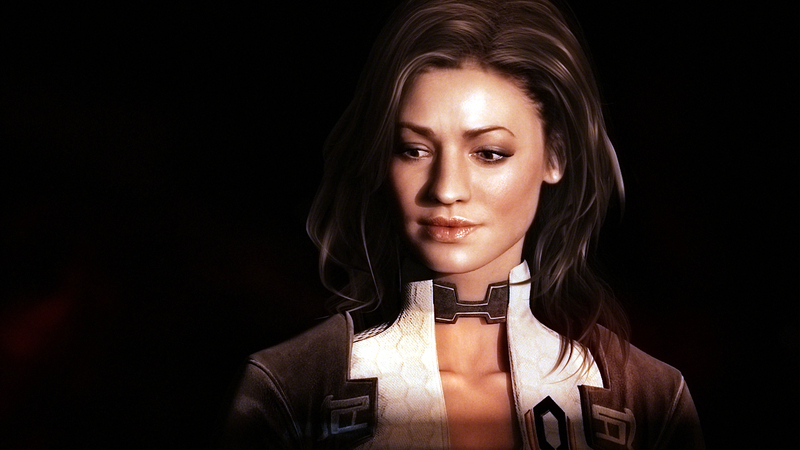 Miranda Lawson is one of many characters introduced as a major new presence, only to simply lose significance in Mass Effect 3. Let’s examine the story in Mass Effect 2: a suicide mission against the threat known as the Collectors. Commander Shepard must assemble the most dangerous people in the galaxy to stop the Collectors before it is too late for humanity. That’s a compelling story on its own but already there is a problem: no mention of the Reapers. 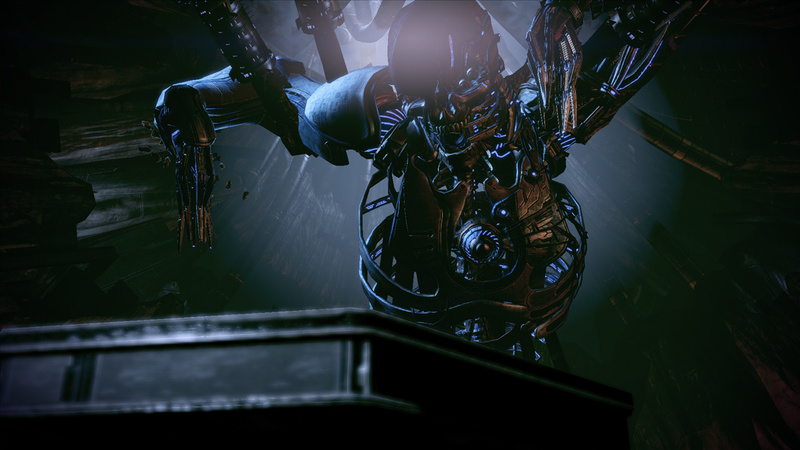 The Reapers are the main threat of the Mass Effect Trilogy. They are hulking, nigh-indestructible ancient machines that have periodically extinguished all civilized life in the galaxy. Yes, the Collectors are working for the Reapers and yes, the Collectors pose a threat to humanity but the Reapers are bigger than that. The first Mass Effect concluded on a larger scale with one Reaper nearly eradicating the hub of galactic civilization. 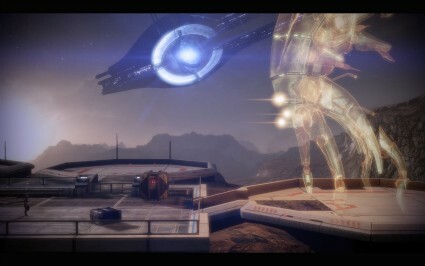 It was a bizarre move to lower the scale and try to tell a smaller story in Mass Effect 2. The result is that everything of real importance happens in Mass Effect 3, causing the final game of the trilogy to have to rush at a mad pace to try and resolve everything on its own. The Collectors, even with the influence of Harbinger, are simply not vital to the main story in any way. It isn’t that the story in Mass Effect 2 isn’t entertaining, it just doesn’t matter. Nothing, from the cybernetic rebirth of Commander Shepard, to the Tali mission concerning a dying star, to the reveal of a human Reaper, really impacts the trilogy. Every question raised in Mass Effect 2 goes unanswered. Worse still, most of the questions: such as how the galaxy will react to the Reaper invasion (a question raised at the end of the first Mass Effect) are left for Mass Effect 3. This all comes down to construction. The writers of Mass Effect 2 set out to tell a small story of a man who assembles a team and stops a threat. The game succeeds brilliantly at telling this story but, was it the story that should have been told? In many ways, Mass Effect 2 would have worked better as a first game rather than a middle installment. The “suicide mission” mechanic would ultimately prove disastrous for Mass Effect 3. In a game with the largest squad possible: any person could die. 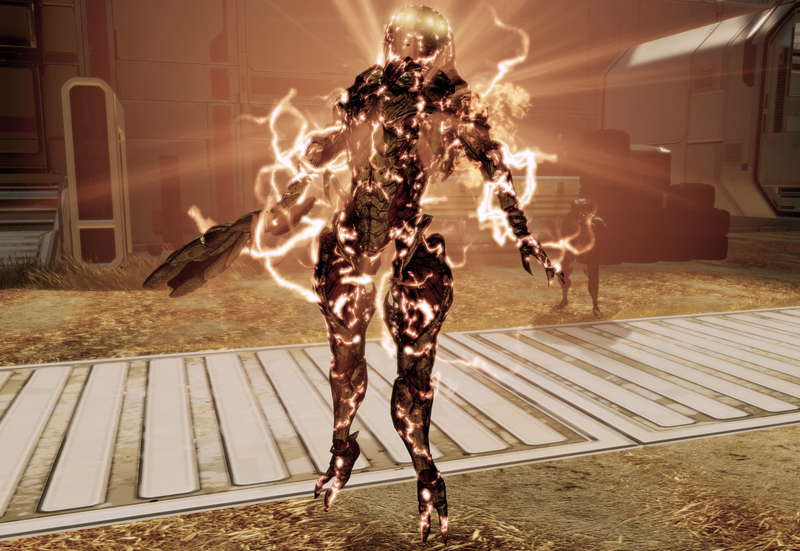 Even Commander Shepard, if the player did not prepare enough, could meet his/her end during the finale. The problem with “anyone could die” is that it leads to this: “everyone can live“. Meaning, from a game design perspective, that there are twelve what-ifs that people will care about in the final game. None of them can impact the story too drastically (because they might not be there) but all of them must be mentioned in some way. So everyone was treated to bizarre cameos in Mass Effect 3 where the character returned but never really did anything. The result was unsatisfying and sadly: easy to see coming. Rather than design an achievement structure which rewarded saving everyone, Mass Effect 2 should have instead opted for more scenarios like the first game: certain people have to die whether the player likes it or not. It was supposed to be a “suicide mission” after all. Boldly left with nothing to do. On its own, Mass Effect 2 is a brilliant game. In the trilogy, it was a foolish mistake. Yes, one can argue that if EA had not rushed Bioware in the development of Mass Effect 3, the writing staff may have found a way to better rationalize the two. However, the writers at Bioware did nothing to help themselves out. Mass Effect 2 was simply too low scale in an epic trilogy. It’s great to personalize the characters but not at the price of the story. Its a fundamental problem that largely prevented one of the most towering achievements in video game history from reaching even greater heights. The final Mass Effect 2 DLC “Arrival” had more to do with the main plot than anything in the central game: think about that.